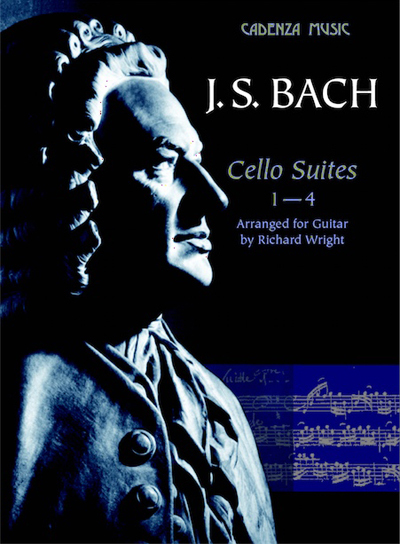 For more than a century guitarists have been irresistibly drawn to Bach’s remarkable cello suites. Here, for the first time, are the first four in the easiest and most resonant guitar keys. Suites I - IV must be transposed to work on the guitar, whereas Suite V is always played in A minor, in Bach’s own lute version, and the equally demanding Suite VI can only be played in its original key of D.
Another unique feature is the inclusion of optional ‘improvised’ divisions suggestions for the additional ornamentation of passages to reflect typical 18th-century performance practice. This is an essential addition to any guitarist’s library with selected movements featured in the 2009 ABRSM guitar syllabus (Grades 5-8).